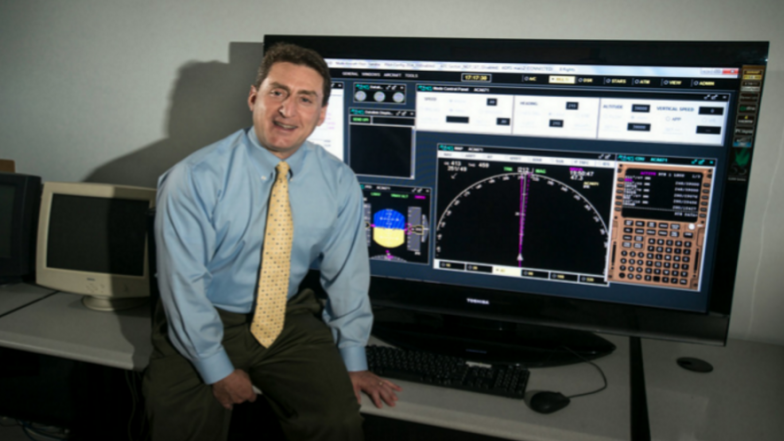 Dr. Sherry’s has pioneered research in data analytics and stochastic simulation of large complex adaptive systems such as the air transportation system, operations of airports, airlines and air traffic control, as well other network-of-network systems. These analyses are used widely for strategic planning, business development, cost/benefit analysis, and system productivity improvement. Dr. Sherry has also conducted award wining work in human-computer interaction, operator training, and the design of autonomous and semi-autonomous systems (such as Unmanned Air Vehicles). 2012 – 2015 : Detecting and Mitigating Automation Surprises. Funded by Decision Science Research Institute. 2012 – 2013 : Air Traffic Research 1. Funded by Crown Consulting Inc..
2012 – 2012 : Air Traffic Demand Model Development. Funded by LMI. The current topic of Big Data is generating great interest across both commercial and government domains. The Oracle Corporation and George Mason University’s Volgenau School of Engineering are sponsoring a one-day symposium focused on the breakthroughs and challenges of building and using big data solutions in Public Sector agencies and their supporting partners. This symposium invites researchers from academia, government, and industry who are applying Big Data technologies to challenging problems. This free public event provides a platform for researchers and practitioners to discover potential big data solutions to challenging Public Sector problems, and to enable collaboration among researchers and solution providers.